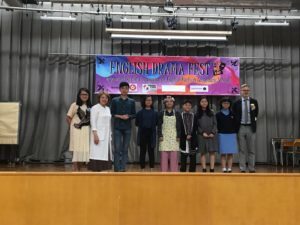 Our school has won the Drama Fest two years in a row! 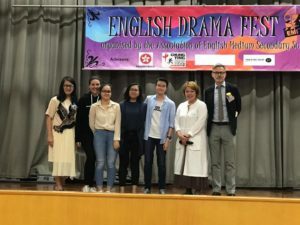 Thirty students from the English Drama Club participated in the Drama Fest organized by the Association of English Medium Secondary Schools on 27th March, 2019. 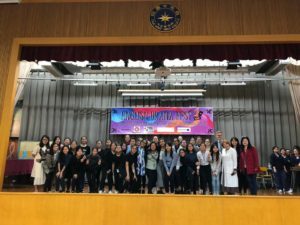 The original play Three in One was written by Coral Hotchkiss of 4B, the president of the English Drama Club. Facing keen competition, our school was very honoured to have received the Outstanding Performance Award as well as the Outstanding Directing Award, and Sara House of 2R received the “Outstanding Performer” Award. The prizes proved the club members’ dedication to drama, and their ability to put together an exceptional performance.